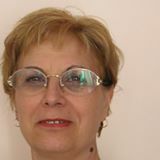 Violeta Kyoseva is the founder of the FAR association for democratic education, Burgas. Violeta found her way into non-formal education indirectly. Her connection with Germany and fascination with the German language has influenced her development greatly. After graduating in tourism, where she already deepened her German skills, she studied German philology, history and philosophy. Afterwards she became a German teacher in the German secondary school in Burgas, where she taught for 24 years. Both in tourism and as a padagogue, people and the relation between Germany and Bulgaria have always been essential in her life. Through applied geography, school exchange programs and various offers of adult education, Violeta got the chance to get to know Germany intimately. Violeta is part of a generation, which experienced the fall of the Iron curtain both in Bulgaria and in Germany very consciously. The pursuit of the German language, culture and lifestyle gave her courage and optimism for the positive and progressive development of Bulgaria. Because of her work, first in addition to her teaching and then full-time since 1995 as the chair-woman of the FAR Asccociation, Violeta always tried to achieve a democratic rethinking in Bulgarian society; both with pedagogic and human means, always innovative and adapting to the needs of people. In her long-lasting cooperation with western partners she has always been critical towards “pre-assembled” mindsets and models. In her free time she likes hiking, reading, and German literature of course. Furthermore she is very good with her hands and knits and crochets a lot. She is the mother of two grown children who have each blessed her with a grandson. 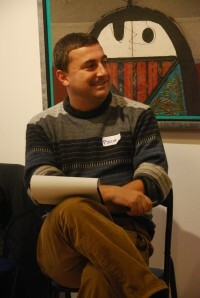 Rusin Borislavov studied at the German language school in Burgas. After that he graduated in German and Bulgarian language and literature studies at the university in Plovdiv. Since 1998 he has worked as a German teacher in the “Ivan Vazov” school in Burgas and since 2000 he has been a youth trainer and member of the board of the FAR in Burgas. He loves working with young people. He is interested in politics and even partook in a course on “Teaching politics in south-eastern Europe” in Sarajevo, Bosnia-Herzegovina. He plays soccer every Saturday with his friends from the football club “Ostrietata”. His hobbies are cine films, books and the etymology of words.